Following an announcement by climate change & environment minister Denis Naughten, the Sustainable Energy Authority of Ireland has introduced a number of changes to the Better Energy Homes grant scheme for retrofits including increased grants for external wall insulation and heating controls, and two measures which signal a dramatic change in emphasis: the elimination of grants for fossil fuelled boilers and the introduction of heat pump grants from 16 April. The Bartholomew Barn, a new £1.2m school building at King’s Hawford, is a multi-purpose sports and drama hall that will be used for sports, assemblies, drama, music and dance. In a detailed statement to Passive House Plus, SEAI said that the changes reflect an objective to drive building fabric upgrades and stimulate an accelerated decarbonisation of heat supply. The decision to introduce heat pump grants was “primarily to accelerate the move away from fossil fuels towards renewable forms of heating. Hence the discontinuation of the grant for oil/gas boilers with controls and the introduction of a single higher grant for heating controls only.” SEAI said that the addition of a heat pump grant arises from the ongoing review of the programme and the objective of supporting more renewable heating options, on top of the existing supports for solar thermal. There are a number of different types of heat pumps – including air-to-water, groundto- water, exhaust air-to-water, water-to-water and air-to-air heat pumps, which have varying characteristics and applications. All of these forms of heat pumps are eligible for the new grants, which comes at a flat rate of €3,500 for all types with the exception of air-to-air, which receive a far lower grant of €600. Homes built from 2011 onwards are ineligible. Air-to-air systems are seldom used in homes in Ireland. They’re essentially air conditioning systems – which can efficiently heat or cool the air in a building but don’t heat water – and the low grant may be a reflection of both the lack of demand and their relatively low capital cost. Domestic hot water heat pumps – which are designed to generate hot water only – are not eligible. There is an argument that a flat grant for all other heat pumps is something of a blunt instrument, and doesn’t reflect the fact that different heat pumps will achieve different efficiencies – depending on anything from the temperatures they’re designed to operate at, to the temperature of the heat source they’re tapping into. For instance, ground source heat pumps tend to have higher efficiencies than air source units during the heating season due to the relative stability of ground temperatures below certain depths, though air source units – which involve much lower capital costs – have closed the gap in recent years as manufacturers have refined their design, and there is evidence to indicate that space heating demand in many Irish buildings may be peaking in Ireland’s frequently relatively mild but windy weather, as the guide to air source heat pumps in Issue 24 of Passive House Plus discussed. Investments in high tech sustainable technology ideally shouldn’t happen till cost-effective fabric energy efficiency measures have first been delivered, and SEAI’s changes to the grant system have been designed to reflect that. The HLI will be used to determine the energy performance of the dwelling for the purpose of Better Energy Homes grants for heat pump systems and must be no more than 2 W/Km2, which industry sources have indicated will typically translate to roughly a C1 BER. Central to determining this calculation will be the role of an independent SEAI-registered technical advisor, who will carry out the required technical assessment to determine the suitability of a home for a heat pump system. How can you improve the Heat Loss Indicator of a poorly performing home? SEAI already offers grants for three types of wall insulation (external wall insulation, internal dry lining and cavity wall insulation) as well as attic insulation, for new homes built before 2006.
Who is the technical advisor and what do they do? An independent SEAI-registered technical advisor will be an engineer, architect, quantity surveyor or relevant construction professional who is also a registered domestic BER assessor and who has attended an SEAI technical advisor workshop. The technical advisor will calculate the Heat Loss Indicator and thus the home’s suitability for a heat pump. This information may already be available where a home has a current valid BER. If not, the advisor will publish a new BER, as up-to date BERs are prerequisites for the heat pump grant. The technical advisor will produce a technical assessment which will indicate that either the home is already heat pump ready or, if not, what upgrades are necessary to make it so. At the time of applying for a heat pump grant, the homeowner is required to upload the technical assessment document attesting to the home’s eligibility or what needs to be done to achieve eligibility. Where upgrade works are necessary then the technical assessment document can be used by the homeowner to get quotes from contractors for these works. Homeowners who successfully proceed with a grant-aided heat pump system installation will receive a €200 grant towards the cost of the technical advisor. “The introduction of the independent SEAI registered technical assessor role is a further step to help professionalise residential retrofitting,” said SEAI, adding that the authority will soon publish a list of independent SEAI-registered technical advisors on its website. To be eligible for registration candidates must be a registered domestic BER assessor and have a FETAC Level 7 in engineering, architecture, quantity surveying, construction or equivalent. Candidates must demonstrate adequate experience and full membership of relevant professional associations. What are the requirements to register as a heat pump installer? SEAI told Passive House Plus that eligibility requirements for heat pump installers would include a FETAC Level 6 plumbing certificate with a minor in electrics, a certificate of competency from the manufacturers of the appliances they intend installing, and – from 1 January 2019 – FETAC Level 6 in heat pump installation or registration on SEAI’s register of renewables installers. 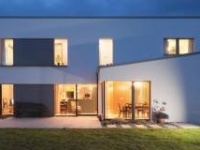 As Passive House Plus went to press, Heat Pump Association of Ireland director Paul O’Donnell said that SEAI had confirmed it would allow for equivalent proof or grandfather rights to non-FETAC 6 paper holders. As with all other registered contractors under the programme, heat pump installers will also be required to abide by the Better Energy Homes terms and conditions, including requirements to be tax compliant and properly insured. They must complete the installation in full accordance with the code of practice. They will also be subject to SEAI’s quality assurance and disciplinary procedure. The heat pump section in the code of practice is currently being updated. Are there any differences to other Better Energy Homes grant eligibility terms? For insulation grants and heating control grants under the Better Energy Homes programme, the requirement remains unchanged where construction and first occupation must be before 2006. The indoor units for modern heat pumps often now resemble stylish fridges in their appearance. 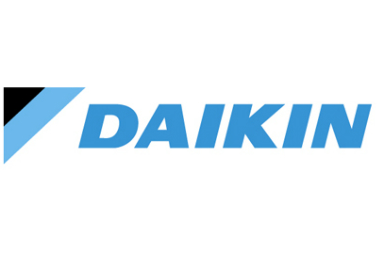 Seen here, clockwise from left, are systems from De Dietrich, Daikin, Heliotherm, Nibe and IVT. 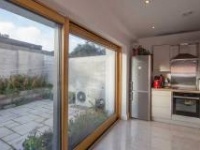 The Heat Pump Association of Ireland (HPAI) – the independent body set up to represent the heat pump industry – welcomed the news, while noting that the scheme was announced sooner than the industry expected. The sector has been booming in recent years. As reported in issue 24 of Passive House Plus, data from SEAI’s National BER Research Tool indicates that 37% of all new homes built in 2017 featured heat pumps – a figure which may be conservative, given the signs that thousands of self-builders may not be obtaining BERs before occupying homes, and the fact that heat pumps are the dominant heating system in self-build houses, with over 67% of detached homes where the owner had obtained a BER prior to occupancy opting for a heat pump. “While this message is fantastic for the heat pump industry we think the announcement of grants for retrofitting heat pumps will account for quite a small impact on sales,” said HPAI director Paul O’Donnell. Passive House Plus also spoke to O’Donnell’s fellow HPAI director Brian Cooley and chairman Calin Tasnadi, who welcomed the announcement, but warned that the introduction of many new suppliers and installers means that care would be required to ensure the right quality of product arriving into the market and of heat pump installation, so that end users have a positive experience of the technology. “Grant aid is always seen as benefit and will give a boost to the heat pump industry on the whole, mainly due to the government’s stamp of approval to say ‘this is the future – replacing fossil fuel with a renewable source like heat pumps is the way forward,’” said Brian Cooley. The HPAI said that the criteria surrounding the persons deemed qualified to fit a heat pump in order to receive a grant would risk ruling out many of the best and most experienced installers if SEAI had decided to require FETAC qualifications only. “There are many installers throughout the country installing heat pumps for close to 20 years with thousands of completed installations. These installers do not have plumbing backgrounds but have backgrounds in other areas of engineering,” said Cooley. “While training requirements are good, if they’re too regimented it may prevent excellent installers who don’t happen to have the right paperwork in place. An alternative solution suggested to SEAI is that manufacturers and distributors of each particular brand will issue a sign off that the relevant instruction and training has been given to the prospective installer” said O’Donnell. The HPAI is also suggesting that SEAI may look to add an additional band to qualifying homes. As it stands a home with a HLI of 2 or under can be retrofitted with a heat pump without any additional insulation measures once the unit can achieve a seasonal performance factor of 125% as per Ecodesign requirements when delivering space heating at 55C. This means it is possible to retrofit the heat pump to a medium temperature system and meet the criteria laid out, though the efficiency of heat pumps substantially improves when lower temperature heat output is achieved. 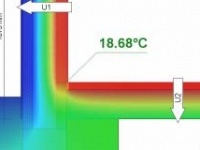 The development of the heat loss indicator as a concept is a noteworthy departure for SEAI in its own right. One of the main criticisms of focusing on the results a building achieves in Deap is due to the fact that Deap deals fundamentally in net primary energy (taking account of all energy used for space heating, hot water, ventilation and lighting, but disregarding plug loads). This means that a poorly insulated building with an inefficient heating system can achieve an excellent BER, provided that the high energy demand is offset by a sufficiently large solar PV array, for instance – even if that PV array was discharging all of its power into the grid or – in apartments, the landlord areas – and providing no appreciable benefit to the occupant. But by singling out heat loss from building fabric and ventilation, the HLI effectively shuts the door to any such energy offsetting. Also, the fact that SEAI have determined that only BER assessors with additional qualifications will be eligible to conduct a HLI assessment suggests a recognition of a reality SEAI have long denied: Deap is being used as a design tool. Outdoor units serve as the collector for air source heat pumps, including clockwise from above left, units from Mitsubishi Electric Ireland and Panasonic (installed as part of Tipperary Energy Agency’s SuperHomes retrofit scheme), CTC (an illustration showing the inner workings), and a Thermia unit outside Ireland’s first certified passive house retrofit, in Salthill, Co. Galway. Although the HPAI has some concerns about whether buildings which can’t be cost-effectively brought up to meet the necessary HLI target should be excluded from heat pump grants, the association acknowledged the benefits of having an independent technical advisor to help with the decision on insulation level required and heating system upgrade. While welcoming the grants, Brian Cooley emphasised that the HPAI was keen to continue to work with SEAI on additional proposals to fine tune the scheme and its workings. SEAI have nonetheless made a significant change by opening up the grants to pre-2011 homes, compared to the pre 2006 cut-off point that previously applied under the Better Energy Homes scheme. In the region of 220,000 new homes were built between 2006-2008 alone, at a time when the peak and gradual collapse of the house-building boom led to the construction of homes which are likely to be extremely leaky, inaccurately insulated and non-compliant with minimum standards. One man who has a rare amount of experience in retrofitting heat pumps – and no commercial involvement in a heat pump company – is Tipperary Energy Agency CEO Paul Kenny, who has overseen the installation of scores of heat pumps into energy upgraded homes in the Tipperary region and beyond under the Superhomes scheme, along with other energy efficiency measures including airtightness, insulation upgrades and the installation of mechanical ventilation systems, combining cost-effective energy efficiency, comfort and indoor air quality. 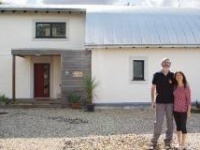 As reported previously in Passive House Plus, 20 of the participating SuperHomes dwellings – 19 of which were fitted with Mitsubishi Ecodan air-to-water heat pumps – have been undergoing monitoring by students at LIT since March 2017. Indicative results are remarkably positive for retrofits: the average seasonal COPs for the 20 heat pumps are working out at roughly 3.2 – as an average for both space heating and hot water, including a heating season that took in the ‘Beast from the East’. Ultimately, time will tell as to whether these kind of results can be replicated nationally and at scale. But there are signs of a significant ratcheting up of policy ambition in the design of this scheme – and SEAI’s increasing efforts to stimulate profound energy savings from Ireland’s existing stock via the likes of the Deep Retrofit scheme – reflecting a recognition of the need to help Irish people to invest in high levels of energy efficiency and to replace climate-destroying fossil fuels with clean, cost-effective renewable energy sources. And – all of the usual caveats notwithstanding – that can only be a good thing. The Heat Pump Association of Ireland is the industry representative body of manufacturers and importers of heat pumps in the Republic of Ireland. 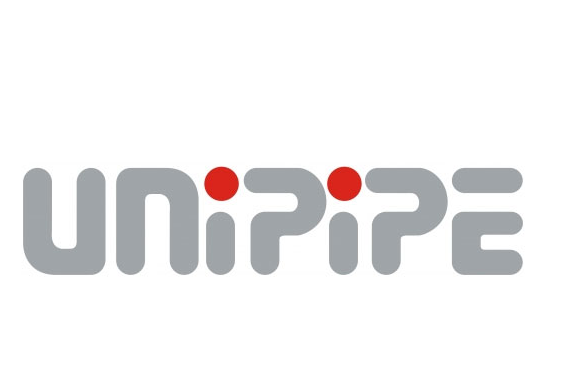 Membership is open to all manufacturers and importers and distributors of heat pumps, with the aim of giving the industry a single representative voice with other sectors of the construction industry, educators and legislators. It is a non-profit company established to promote the benefits of heat pumps. The heat pump brands represented include the following: Alpha Innotec, De Dietrich & Robur (Origen Energy), Carrier & LG (DWG Refrigeration Wholesale), Ciat & Kronoterm (Glenergy), CTC & Viessman (Precision Heating), Daikin, Firebird, Grant Engineering Ireland, Groupe Atlantic (Ideal), Heliotherm (Climate Control/Renewable Energy Centre), Hitachi, IVT Bosch (Energy Superstore), Mitsubishi Electric, Mitsubishi Heavy (Diamond Air), Nibe (Unipipe), Nilan, Panasonic, Thermia (Ashgrove Renewables), Toshiba (AC Heating/Baxi Potterton Myson/GT Phelan), Samsung (Joule), Water Furnace, Weider, Euronom & Argo (Alternative Heating & Cooling).